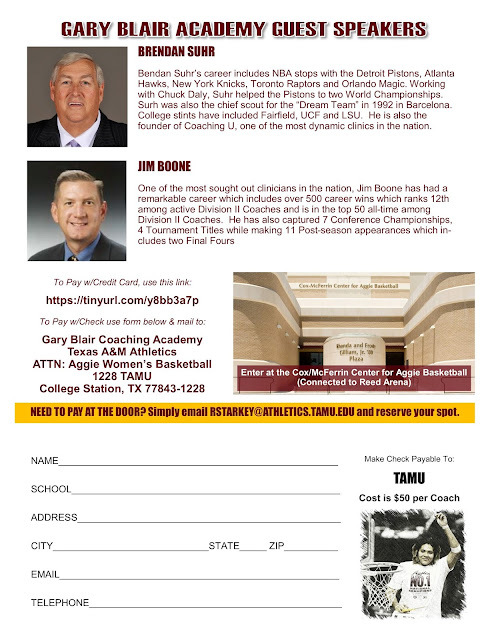 Today we are excited to add two new segments to this year’s Gary Blair Coaching Academy. Billy Kennedy and his Texas A&M men’s basketball team will conduct a full practice as part of the Academy schedule. 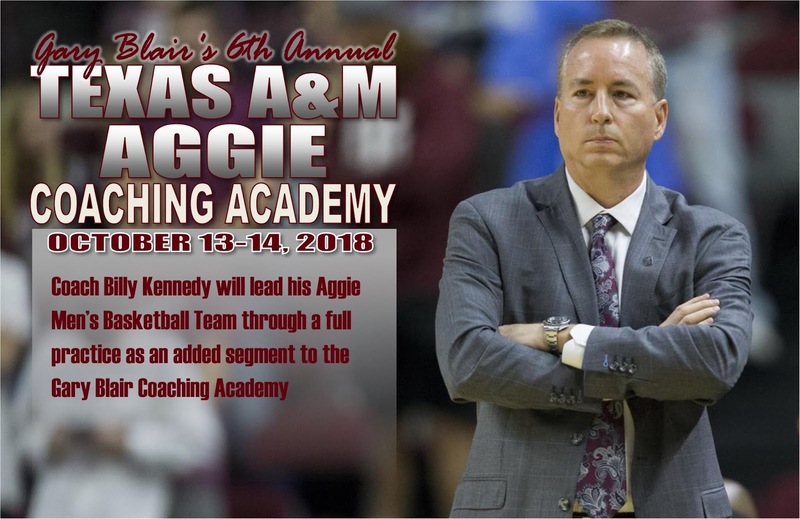 Since taking the reins of the program, Coach Kennedy has guided Texas A&M to an SEC title and three trips to the postseason, highlighted by a run to the 2016 Sweet 16 which matched the school’s deepest run in the NCAA Tournament. 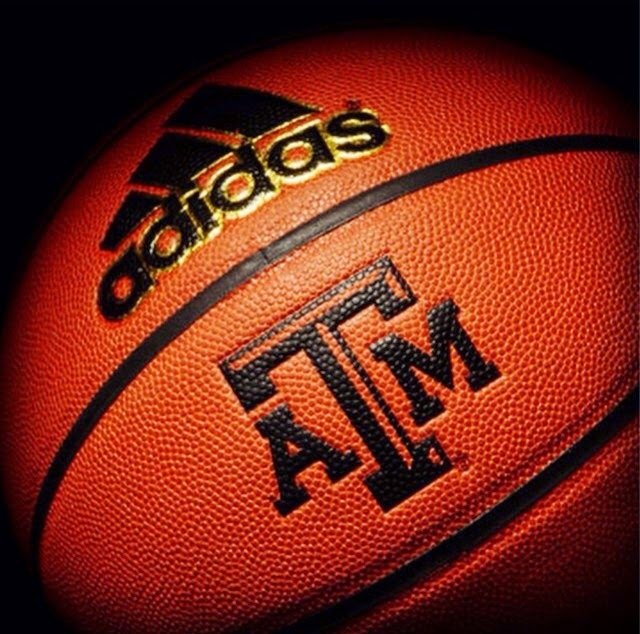 Also, on Saturday morning at 11:00 AM, the Aggie Women’s Basketball Team will have a Defensive Practice. While not part of the Academy, coaches that get into town early are welcome to attend. 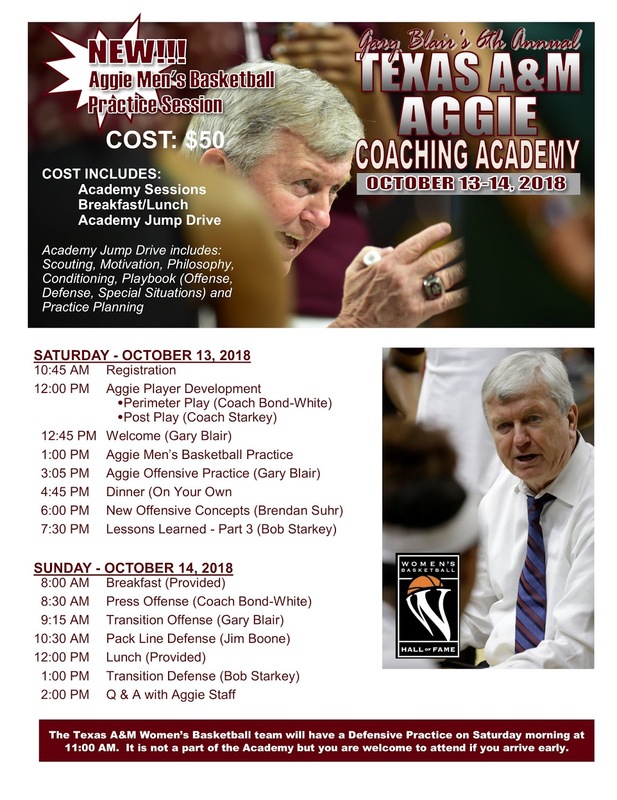 ◄4 Complete Clinic Sessions featuring the entire Aggie Basketball staff and team. Each year we work hard to bring in the best of the best as guest speakers and this year is no different. In Brendan Suhr and Jim Boone, we have not only brought in a wealth of knowledge but some of the most experiences clinicians in the nation. Bendan Suhr’s career includes NBA stops with the Detroit Pistons, Atlanta Hawks, New York Knicks, Toronto Raptors and Orlando Magic. Working with Chuck Daly, Suhr helped the Pistons to two World Championships. Surh was also the chief scout for the “Dream Team” in 1992 in Barcelona. College stints have included Fairfield, UCF and LSU. 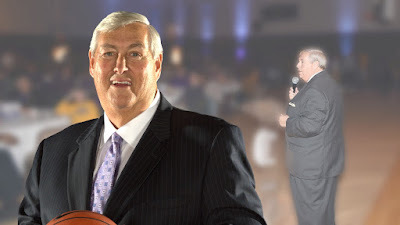 He is also the founder of Coaching U, one of the most dynamic clinics in the nation. 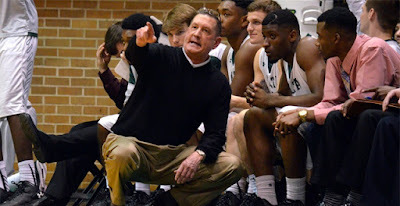 One of the most sought out clinicians in the nation, Jim Boone has had a remarkable career which includes over 500 career wins which ranks 12th among active Division II Coaches and is in the top 50 all-time among Division II Coaches. He has also captured 7 Conference Championships, 4 Tournament Titles while making 11 Post-season appearances which includes two Final Fours. The cost for the Gary Blair Academy is only $50! Coach may also pay at the door though we request you email Coach Starkey at rstarkey@athletics.tamu.edu to reserve your spot.